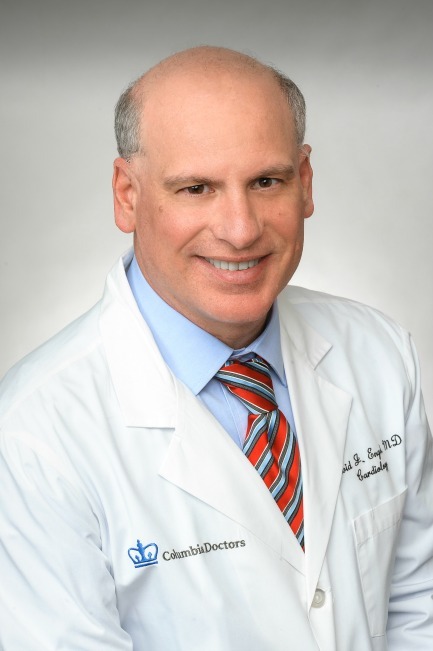 Dr. Engel is an Associate Professor of Medicine at the College of Physicians and Surgeons at Columbia University and Attending Physician at New York-Presbyterian Hospital/Columbia University Medical Center. He received his undergraduate degree from Yale University and medical degree from Cornell University Medical College. He completed his post-graduate cardiology fellowship training at Columbia University Medical Center with advanced fellowship training in echocardiography. Dr. Engel is a clinical noninvasive cardiologist with expertise in preventative cardiology, valvular and coronary heart disease, arrhythmic disorders and cardiomyopathies. Dr. Engel has a special area of expertise in Sports Cardiology and in the cardiovascular assessment of athletes. He has published one of the largest echocardiographic studies to date characterizing the Athlete’s Heart in elite American athletes. Dr. Engel has gained national recognition in the field of Sports Cardiology and performs consultations for pre-participation cardiovascular exams and assessments, the evaluation of cardiovascular symptoms in athletes and the management of existing cardiac conditions in the competitive athlete as an integral component of his practice. Dr. Engel additionally is a member of the NYP/CUMC Aortic Center and performs evaluations and provides care for patients with Marfan Syndrome and other genetic aortopathies. He currently serves as the Director of the NYP/CUMC Sports Cardiology Program, Co-Director of the NYP/CUMC Marfan and Related Connective Tissue Disorders Clinic, and Director of Echocardiography at the ColumbiaDoctors midtown facility.